Two things most hospitals don’t lack are patients and doors. From the outside, there are entries for the different types of groups needing to get in. Inside, there are many departments requiring outdoor-style security. An access control system works well for the medical staff and hospital employees. An ID badge gets them quickly into areas so they can do their jobs. But what about patients, visitors, vendors, contractors, and the many other people needing access at various times of the day? Video intercoms are ideal for moving these people through exterior and interior doors throughout the hospital. Pharmacists can verify the identity of a drug sales rep. Security staff can let in employees who’ve forgotten their ID badges. Nurses can validate a family visitor before allowing them to enter the maternity ward. While the emergency room lobby must remain open, doors to triage and treatment areas can remain locked with access controlled by staff. Then there are uses in memory care facilities, data centers, loading docks – the list goes on. 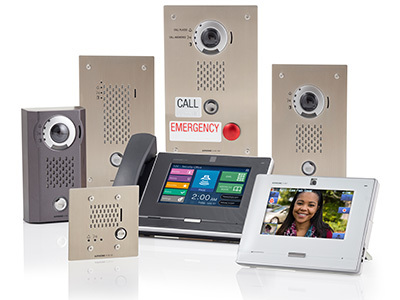 By letting employees see and speak with visitors, video intercoms also help control a practice known as piggybacking. That’s when non-authorized people sneak in behind an approved visitor. Plus, a built-in camera lets security staff see people loitering around the entry. Pan, tilt & zoom (PTZ) cameras, available on many video intercoms, allows the lens to move for viewing both adults and children and zoom out to see groups of people. And let’s not forget their value outdoors. 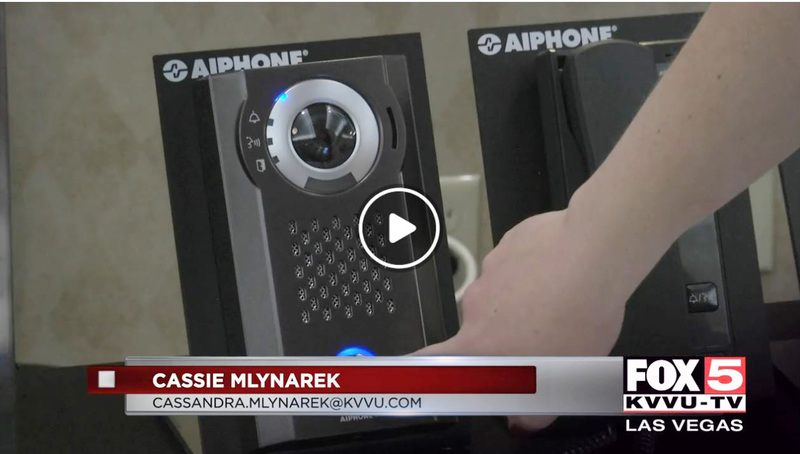 Put a video intercom in an emergency tower or emergency call box, top it with a bright blue light, and you’ve got an immediately recognizable connection between a caller and hospital security. Emergency stations are perfect in and around parking lots and garages and along pathways between buildings. They’re also valuable in stairwells and in basements. There are many challenges in securing a hospital. But like any facility, the solution lies in layers of integrated security. And video intercoms are part of any good plan. Interested in reading more? Check out our case study on exterior hospital security.